YouTube is the most lucrative platform for content creators according to an article by Business Insider. Over 180 million hours of YouTube content is viewed on connected television devices daily. Entrepreneurs, celebrities, and brands interested in reaching cord cutters and young audiences produce content for the platform. Creatives, budding entertainers, and aspiring influencers launch YouTube channels to connect with audiences. Whether you’re a B2B service provider, self-employed, creative, or entertainer, you want to build your channel and brand with a website. 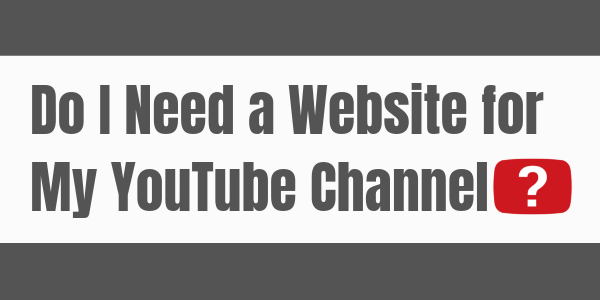 Why should you have a website for your YouTube channel? Having your own website gives you ownership of your brand from the moment your channel launches. Your viewers can have somewhere to read your stories and access non-video content from you. When you have your own website you can publish more content types that give you the opportunity to connect with a broader audience. Selling merchandise on your website is a way to earn cash from your channel while you work to qualify for ad sharing revenue. Your videos on YouTube are your intellectual property and brand. When you have a website outside of your YouTube channel you’re able to build your brand and connect with your viewers in a space you own. Launching your website with your channel can help establish your website as the best place to find content from you with search engines. You can use the growth from publishing videos on your YouTube channel to help grow your brand. By blogging and connecting all of your online platforms to your branded website you can position your website as the center of your brand. Your website is also where people who don’t use YouTube can learn about your brand, watch your videos without the distractions that come with YouTube, and deepen the connection with your brand. Inviting viewers to your website provides a way to share more than videos. Brittany Hennesy, the author of Influencer, advised niche and micro-influencers on YouTube and Instagram to build websites that include blogs or podcasts to be more attractive to influencer recruiters. If you’re a photographer or artist, your website is where you share your portfolio. Travel bloggers, fashionistas, or makeup artist can share photo galleries of adventures, OOTD (outfits of the day), and before and after transformations. Your website is also where viewers can find out how to connect with you on other social platforms. Your website is the perfect place to share more details about collaborations with other YouTubers and on other services like Twitch. You can invite viewers to listen to interviews on radio shows and podcasts, and meet you at conferences and online summits. You can also share private videos and exclusives intended for channel sponsors or Patreons on your website. Behind the scenes, bloopers, funny anecdotes, and reels that aren’t polished enough for your channel, but may be of interest to your superfans, can be published on your website as well. If you’re using YouTube as a marketing tool for your new gig economy services, getting your viewers to your website is the goal. Each video should contain a call to action to be completed on your website. You can invite viewers to register for online and offline events. You can host webinars. Potential clients can schedule consultations, and have access to your white papers and case studies you reference in your videos. While video has been forecasted to continue growing as a “preferred” content medium many professionals prefer documentation when making purchasing decisions. Build a space to connect with a new audience. Your YouTube channel superfans may have friends who don’t like video. With your own website, your video content can be repurposed into written or audio formats. You can also use your website as the place to receive feedback from your most devoted fans on new content types you haven’t tried on your YouTube channel. Giving your website visitors exclusive access to videos you don’t publish on YouTube can deepen your connection. Today’s audiences want to be a part of the process as well as enjoy the final project. Your website is the perfect space to provide uninterrupted engagement among you and your viewers. For your viewers who are inspired to launch their own channels or brands and looking to you as their “mentor,” your website is where you can provide services like courses, group coaching, or one-on-one consulting. One cool phrase or viral video can be the foundation for your brand’s tagline or catchphrase for your viewers. Your website is the perfect place to sell merchandise for your YouTube channel. 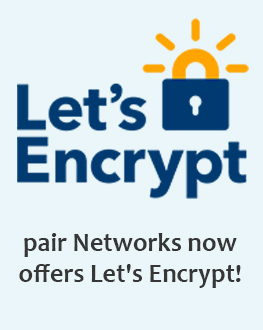 Hosting with pair offers access to the Weebly drag-and-drop e-commerce management solution. We also offer affordable WordPress managed hosting plans. No matter which system you choose to build your website and sell your merchandise you’ll have access to live US-based technical support 24/7. Your website for your YouTube channel helps you build your brand. Having your own website gives you ownership of the online hub for your channel’s brand. Having a website provides the opportunity to connect with online audiences who prefer other media types. A website is an online space to make money without ad revenue. Grab your brand’s .com for only $4 today and begin building a website for YouTube channel.